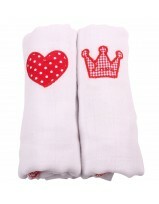 Set of 2 wrapped in a sheer organza gift bag. 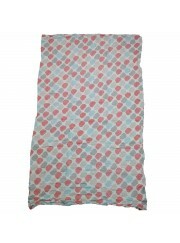 The Mi Supersize Muslin swaddling blanket is made from 100%, high quality, muslin cotton, a natural fabric that will allow baby's body temperature to adjust naturally. 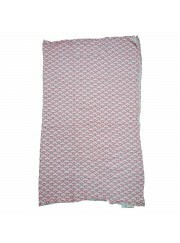 At a spacious 120*100 cm, our multipurpose supersize muslin can be used as a swaddling blanket, large burp cloth, nursing blanket, pushchair shade, changing mat, cot sheet and much more. 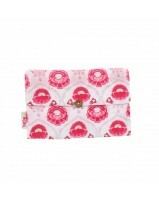 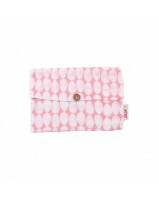 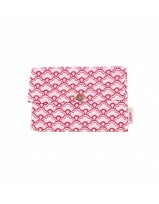 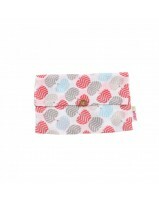 The muslin comes packaged in a matching fabric envelope making it portable for busy Mums and Dads. 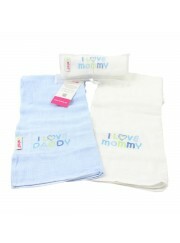 Additional uses include : nursing Blanket, Large Burp cloth, Pushchair Shade, Cotton Cover.